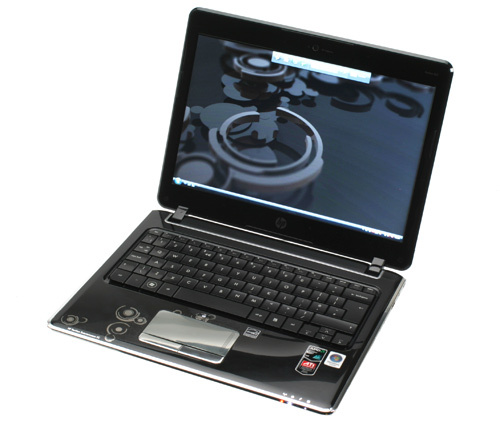 HP Pavilion dv2 is a great laptop, but lacking in power and performance compared to some others. HP aims to provide the perfect combination of portability and performance with the Pavilion dv2-1030ea. While this isn't a massively powerful machine, HP has produced a compact laptop that's capable of carrying out basic multimedia tasks. While the Pavilion dv2-1030ea is a decent laptop with some nice features, in terms of power and speciﬁcations, it's expensive and worth looking elsewhere. 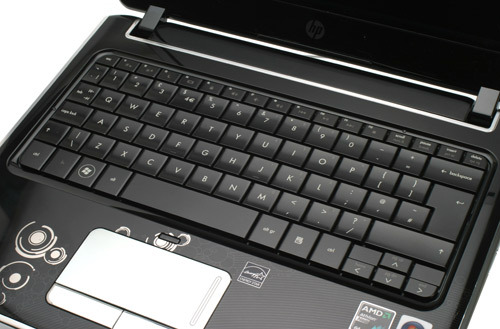 We like the HP Pavilion dv2 a lot. We dislike it a lot, too. Makes sense? The laptop looks absolutely fantastic and has excellent build quality to boot. It's very thin, relatively light, and the dv2-1030ea model ships with a Mobility Radeon HD 3410 512MB discrete graphics card for reasonable gaming performance. The keyboard's just lovely and the LED-backlit screen is well above average, if a little too reflective for our taste. 720p (QuickTime) movies are taken in its stride and the overall package is polished. Want a compact high-definition notebook? As to whether you’ll like the dv2, and indeed whether it can be judged as a success or not, depends entirely on what you need out of a laptop. With limited everyday performance, it’s definitely not a machine you’ll be able to replace your home PC with, but for those with simple needs, or seeking a laptop primarily for the commute, it’s ideal. 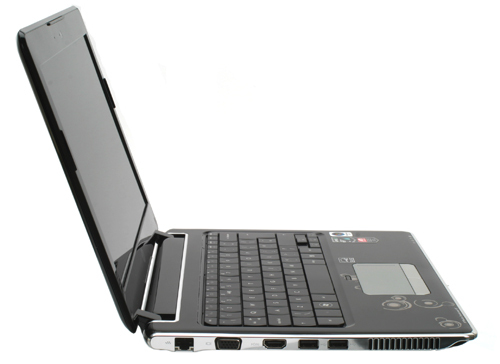 Yes, you can get netbooks for cheaper, but few offer the same quality or usability, and most also lack the higher-res screen and external optical drive. Overall, we like the dv2, and it crams in a lot for your money. Just don’t go thinking it’s perfect. AMD and HP have been wise not to call its latest collaboration a netbook. Why? Partly because it plainly isn't a netbook, it has a 1,280 x 800 resolution display, but mainly because, had they taken this view, we'd have probably told them to insert their new product up their preferred organic orifice - we've seen more than enough netbooks already, thanks! Despite outstanding design and an excellent feature set, the HP Pavilion dv2 is let down by its disappointing battery life and some poor decisions in regards to specification and bundling. There's lots of promise here and if you're happy to invest in an extra battery this is a smart and practical machine, but it's not quite the genre defining product it could have been. 66.75%: This rating is bad. Most notebooks are better rated. This is not a recommendation for purchase.